These cushions are made from a vintage Miao rag blanket. Textiles were a precious commodity and not wasted. In these blankets rags were woven into the weft giving a robust and textured result. Whilst the overall look is of a muted blue/grey if you look closely the rags used are a variety of colours. 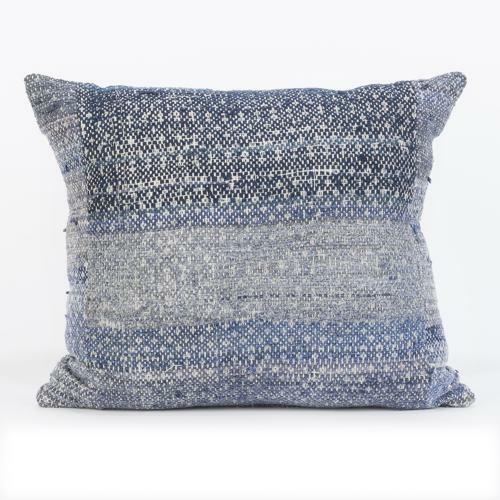 The cushions are backed with vintage blue dyed hemp, have zip closure and feather pads. Available to view in my studio in Purley or please ask for a delivery quote.